‘Spider-Man: Into The Spider-Verse’ delivered one of the most memorable and motivational messages that I’ve seen in superhero movies. And that is anyone can wear the iconic mask, and what makes them different is what makes them Spider-Man. However, by the looks of it, another superhero (or anti-superhero) has taken that idea seriously. You’ve seen him portrayed by Ryan Reynolds not once, not twice, but thrice. Yes, we’re talking about Deadpool. 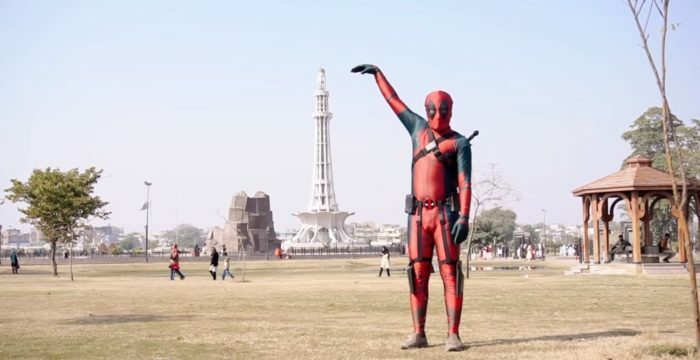 Deadpool, who’s usually seen in the theatre breaking fourth-walls, killing bad guys and romancing Morena Baccarin, was spotted in Pakistan. And since he looks nothing like Ryan Reynolds, it’s safe to say he’s an alternate version of the motor-mouth assassin. The video is the latest product of the YouTube channel, DablewTee. They mostly create hilarious skits, vlogs and social messages. And after taking Spider-Man for a spin, they decided to see how people would react to Deadpool. 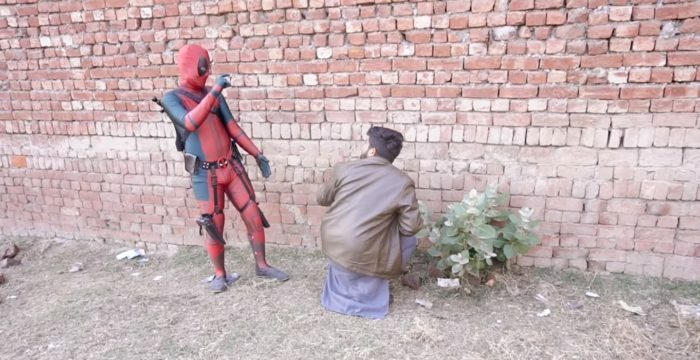 Deadpool can be seen frolicking around in the street, disturbing people and stealing food, while a desi version of ‘Shoop’ plays in the background. And after performing a few stunts on his bike, the merc-with-a-mouth was spotted clicking pics with his fans. While most superheroes get rebooted and re-cast every once in a while, Ryan Reynolds has been lucky enough to say that he’s been the only one version of Deadpool until now. So, it’ll be interesting to see how he reacts to this iteration of his favourite character.